Windy is trying to become a con artist. On days I work at home and need to pass through our bedroom to get to the bathroom, Windy will follow, plop down, roll over and wag her tail—all the while next to our bed. Windy wants to go back to bed, preferably with me accompanying her. On these upcoming drab, winter days, she may win an argument or two. 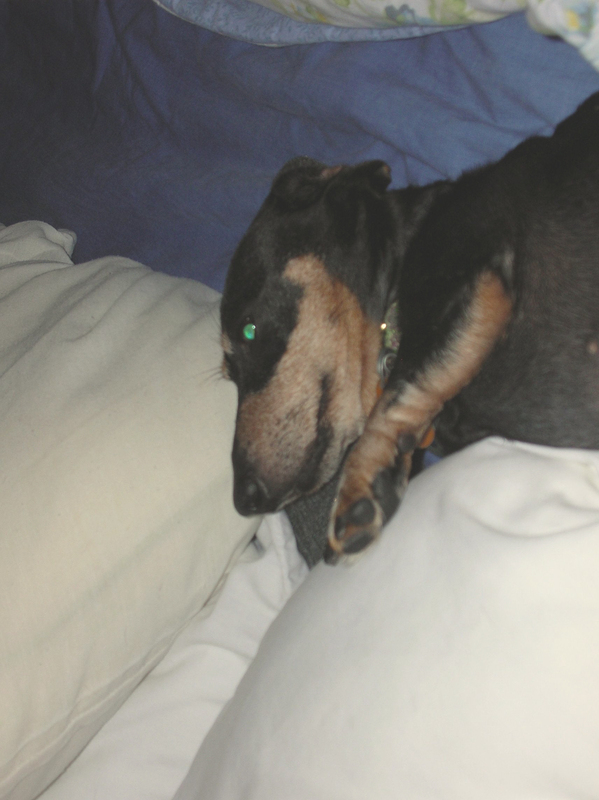 This entry was posted in Dachshunds, Dog Behavior and tagged Dog Behavior, Sleeping. Bookmark the permalink.